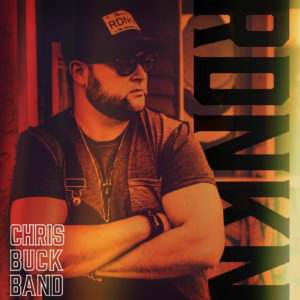 October 5, 2018 (Edmonton, ON) – Following the success of his 2017 smash ‘That’s When You Know’, Chris Buck Band is back with his newest country music anthem – RDNKN, emphasizing that laidback, easy going lifestyle. Breaking onto the scene in 2017 with their debut, self-titled album, Chris Buck Band quickly became one of the fastest rising Canadian country acts with the release of their Billboard Top 20 hit ‘That’s When You Know’ featuring country darling Kira Isabella. The track skyrocketed with over 3.8 million streams and over 100 Spotify playlist adds in addition to its CCMA Award nomination for ‘Video of the Year’. Since then, Chris Buck Band has performed across the country on some of Canada’s biggest festival stages including Boots & Hearts, Rockin’ River Music Fest, The Calgary Stampede and Manitoulin Countryfest. With more new music and an EP in the works, RDNKN is just the beginning of another successful run for Chris Buck Band.